We are seeking qualified franchisees in all areas of the United States, with the exception of certain states in which we are not registered. Your state may have a franchise law that requires the franchisor to register or file with a state franchise administrator before offering or selling in your state. If there is an interest in an area where we are unregistered, we will seek registration. 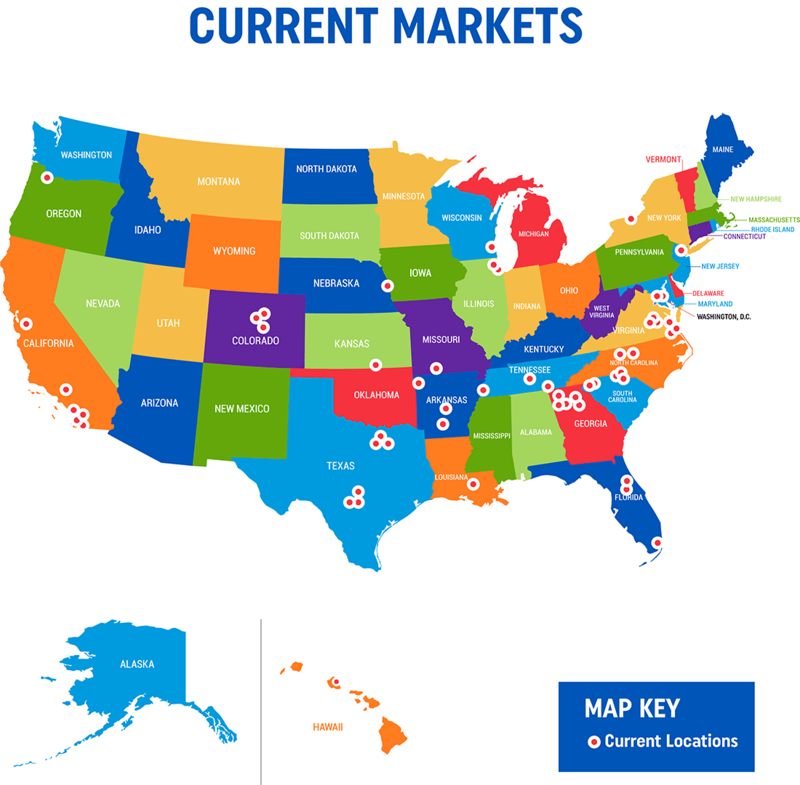 The map below shows the markets where we currently have salons located.